Samsung Galaxy S10+ is back in the news again, this time, thanks to a video that is claimed to show a case of the smartphone. To recall, the Galaxy S10+ is only one of the Galaxy S10-Series models that Samsung is expected to launch early next year, with the Galaxy S10 and Galaxy S10 Lite also part of the rumoured list. 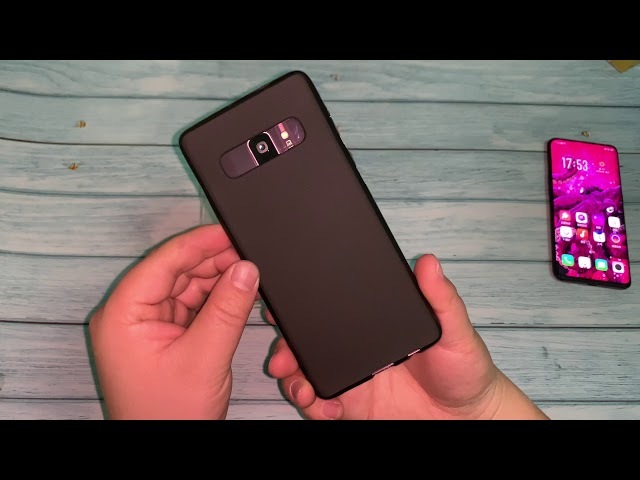 While the video with the alleged case doesn’t show show the Galaxy S10+, the case featured in the video indeed gives us a glimpse at how well the new Samsung Galaxy will be designed. The video compares the size of the smartphone with the likes of the Samsung Galaxy S9+₹ 53,190 and the Galaxy Note 9₹ 59,990 as well as the Oppo Find X. Notably, the Samsung Galaxy S10+ is so far rumoured to have a 6.4-inch display – larger than the Galaxy S9+ that had a 6.2-inch display but identical to the 6.4-inch Galaxy Note 9. Tipster Ice Universe has leaked the video showing the alleged Samsung Galaxy S10+ case on YouTube. The case almost perfectly fits on the Galaxy S9+ that has a smaller display than the rumoured 6.4-inch panel of the Galaxy S10+. Notably, the volume rocker, USB Type-C port, and the Bixby button of last year’s flagship are aligned with the cutouts available on the featured case. Nevertheless, the vertically-placed camera setup of the Galaxy S9+ isn’t a perfect match for the camera cutout available on the case. There is a cutout for the horizontally-mounted camera setup that is rumoured for the Galaxy S10+ along with three image sensors. The case also shows the room for a 3.5mm headphone jack, USB port, and a loudspeaker grill at the bottom. Further, the sides have the cutouts for the identical button placement that debuted on the Samsung Galaxy S9+. This means there is a room for a volume rocker and a Bixby button at one side and for a power button at the other one. The video also suggests that despite featuring the same screen size of the Galaxy Note 9, the Samsung Galaxy S10+ could in with a smaller chassis. This would be in line with the Oppo Find X₹ 59,990 that has a 6.42-inch display. Past rumours have suggested that the Samsung Galaxy S10+ will come with an Infinity-O Display panel that will sport two cutouts for a dual selfie camera setup. The handset could also come with a 19:9 aspect ratio and have a pre-installed screen protector.